Twitter's controversial decision to dramatically reign in the power of third-party app developers is beginning to negatively affect services that harness the social network's API. The IFTTT service, which cross-pollenates Twitter posts with a host of other online apps and portals like Instagram, Facebook and YouTube, will disable what it calls "Twitter Triggers" on Sept. 27. In IFTTT-speak, an example of a Trigger could be: ''every time I post on Twitter", while the automated Action that followed could be: "the tweet is pushed to Evernote." This combination is called a Recipe, but as a result of Twitter's decision to prevent developers uploading Twitter content to a cloud-based service, IFTTT is removing all Recipes that contain Twitter Triggers. The loss to IFTTT users is perhaps the first tangible example of the usefulness of a third-party services being undermined by Twitter's desire to direct users only to its official apps. In an email to users, CEO Linden Tibbets explained that although he's disappointed that Twitter has chosen this route, it's important that the social network's wishes are respected. "At IFTTT, first and foremost, we want to empower anyone to create connections between literally anything," he wrote. "We need to make sure that the types of connections that IFTTT enables are aligned with how the original creators want their tools and services to be used. "We at IFTTT are big Twitter fans and, like yourself, we've gotten a lot of value out of the Recipes that use Twitter Triggers. We're sad to see them go, but remain excited to build features that work within Twitter's new policy." Tibbets points out that Recipes involving Twitter Actions, like thanking new followers with a tweet, or automatically sending a tweet everytime you update Wordpress, will still work as normal. 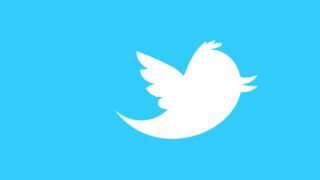 A Twitter spokesperson, when asked for comment, pointed TechRadar to a TechCrunch story that reported the clampdown on updating Twitter content to a cloud-based service was not a new addition to Twitter's API policy during last month's update. That report claimed IFTTT had actually been violating the rules for some time before Thursday's announcement. TechRadar has also reached out to IFTTT (pronounced "lift" without the "l") for comment and will update this story if and when we receive more information.